What is a Vacuum Regulator? A vacuum regulator is a device used to maintain a desired vacuum pressure in a system. There are multiple types of vacuum regulators, but mechanical vacuum regulators discussed here work on a force balance principle. There two major types of vacuum control devices: vacuum regulators and vacuum breakers. This page seeks to explain the different purposes of each type, and how they work. To view a video discussing the difference, please follow this link. Vacuum Regulators, like Equilibar EVR series vacuum regulators, work by throttling flow between the vacuum pump and the process in order to control the process vacuum. This type, which is often referred to as a Vacuum Regulator, is actually a Back Pressure Regulator because the pressure controlled is at the inlet port. The regulator closes to increase absolute system pressure (or reduce vacuum level). In the simplified example at right, the vacuum regulator uses a spring-loaded diaphragm to control the vacuum pressure. The process vacuum is on the lower side of the diaphragm and the atmospheric pressure is on the top. The spring is pulling up to provide the negative set-point bias. As the process pressure becomes too low (vacuum too intense), the diaphragm lowers, restricting of the gas flow between the process and the vacuum supply pump, thereby reducing vacuum level. As the absolute pressure increases above set-point (vacuum too low), the plunger rises and the gas flow between the process and the supply pump is increased, thereby increasing vacuum level. Another type of vacuum controllers let ambient air into the vacuum system to control the vacuum pressure. This type of regulator is often called a Vacuum Breaker or Vacuum Relief Regulator. These regulators are actually a type of Pressure Reducing Regulator because the pressure controlled is at the outlet port. The regulator opens to increase absolute process pressure (or reduce vacuum level). Vacuum relief regulators typically use a spring loaded diaphragm with atmospheric pressure on the upper side and process vacuum pressure on the lower side. In this simplified example at right, the spring actually pulls the diaphragm up to provide the negative set-point pressure. When the absolute process pressure becomes too low (vacuum too high), the plunger forces the valve seat down, allowing more outside air into the process. As the absolute process pressure increases, (vacuum pressure increases) towards set-point, the plunger rises again to restrict the in-flow of air. Some vacuum regulators are considered “relieving vacuum regulators”, which mean that they can allow gas into the process when the set-point of the vacuum regulator is reduced (to increase absolute pressure). Others are considered “non-relieving vacuum regulators”, which means that gas flow must be provided from another source in order to lower the vacuum intensity in the process. Fortunately, most vacuum process have at least a small amount of in-leakage, alleviate the concern when using the non-relieving type. Some vacuum regulators provide relief by allowing a small but controlled amount of in-leakage into the inlet port. Larger vacuum regulators are often referred to as Vacuum Control Valves. Equilibar sells vacuum control valves as large as 6″ in size. A vacuum regulator controls process pressure by throttling flow to the vacuum pump. A vacuum breaker or vacuum relief regulator controls process pressure by allowing bleed air into the entire pump system. Are sometimes smaller than Vacuum Regulators because it typically takes less mass flow to reduce the system vacuum. Typically cost less than vacuum regulators. Minimize the gas flow through system, which can be very advantageous where multiple process share a common vacuum utility. Minimized gas flow is very desirable for pumps such as oil flooded or oil sealed pumps. For some types of vacuum pumps, the excessive gas flow caused by the vacuum breaker is not desirable or a waste of energy. For multiple vacuum process sharing a common header, using a vacuum breaker can degrade the performance of the other processes. In some situations, the pressure variations between one vacuum process and another can lead to very poor process control. Vacuum Regulators have to be sized large enough to pass the entire vacuum flow. For pumps which require a minimum gas throughput (such as liquid ring or dry vane), Vacuum Regulators may need to be used in conjunction with a vacuum breaker supplied by the pump manufacturer. The Equilibar Vacuum Regulator is a unique type of 2-stage vacuum regulator. It utilizes Equilibar’s ultra sensitive dome-loaded back pressure regulator technology to provide unmatched pressure stability across widely varying flow rates. Starting at $600, the Equilibar Vacuum Regulator offers a good option for complex vacuum applications where conventional lower-cost solutions have not worked. 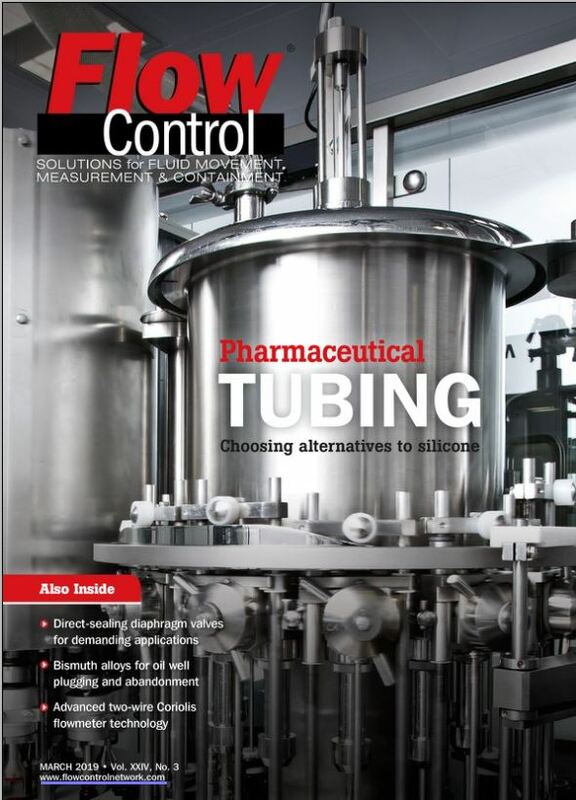 Read on to learn more about our unique vacuum control technology. You may also visit our How Equilibar Vacuum Regulators Work web page for even more detailed information. The first stage consists of a small sensitive vacuum regulator which generates a precise set-point pressure that is equal to the desired process vacuum. This small regulator is energized by the vacuum supply provided to the outlet port of the larger regulator. This small regulator also allows a very small amount of air to be drawn into it to allow for reductions in vacuum set-point. The larger regulator uses Equilibar’s unique direct sealing diaphragm technology to closely match the process (inlet) pressure to the pressure provided on its dome (by the small regulator). This second stages serves as an ultra sensitive volume booster. It also provides chemical isolation between potentially aggressive process vapors and the smaller set-point regulator. This volume boosting stage is actually a dome-loaded back pressure regulator. The special diaphragm blocks the entrance to the process orifices, preventing the vacuum pump from drawing down the process below the set-point pressure (on the dome). Once the process pressure increases above the set-point pressure, gas lifts up the special diaphragm and flows to the regulator outlet. For more details on the unique Equilibar dome-loaded back pressure regulator, see how our back pressure regulators work or BPR product details. For computer automation, it is easy to use an electronic vacuum regulator in place of the manual set-point regulator. Electronic vacuum regulators have two servo valves that quickly open and close to control vacuum measured by a small internal pressure transmitter. They work just like electronic pressure regulators, except that ambient air is used on the inlet valve, and a vacuum supply is connected to the outlet valve. More information about electronic pressure regulators. More information about automated vacuum control. The combination of these two stages provides a very stable vacuum pressure even as gas flow rates and vacuum supply pressures vary. It should be noted that this vacuum regulator is a non-relieving non-bleeding type, and is not capable of rapidly increasing the pressure on the inlet port. The regulator is intended for processes where at least a very small gas flow is present at all times. If your process is gas-tight, with periods of near zero flow, your application engineer can discuss with you easy methods of providing a small gas bleed at the inlet of the regulator. Equilibar Vacuum Regulators use a two-stage design, with a set-point regulator on top, and a larger volume boosting stage below. A small vacuum regulator works to generate a set-point signal for a larger vacuum regulator (used as a volume booster). A small electronic vacuum regulator works to supply the set-point signal for the larger vacuum regulator.